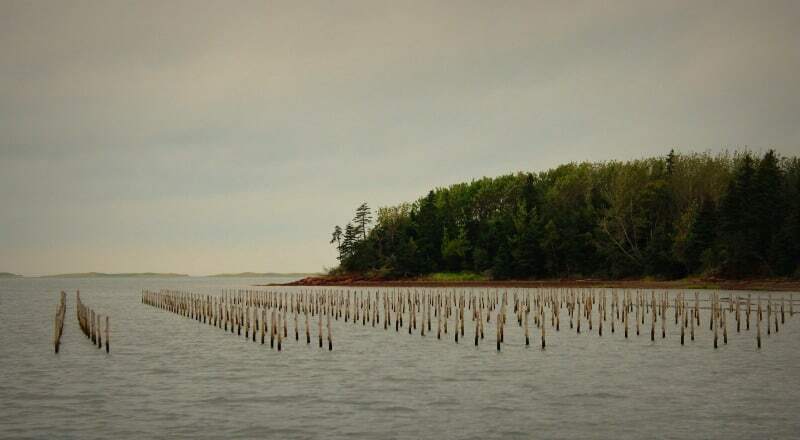 Raspberry Point Oyster farm, Prince Edward Island, Canada. I travelled to Prince Edward Island and, after stumbling upon the secret world of oysters and oyster shuckers, went on a quest to Ireland in search of the rare and delicious Irish oyster. Prince Edward Island is to oysters the way France is to wine. They’re the best. John is telling me this in the middle of a rowdy party known as the Shucker’s Ball, held in Charlottetown the night before the Raspberry Point International Oyster Shucking Championship at the PEI International Shellfish Festival. 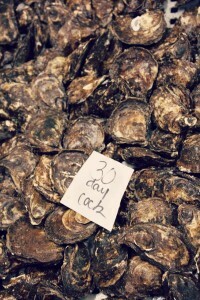 “What about Irish oysters?” I ask, as I’m two days away from leaving for the Emerald Isle. 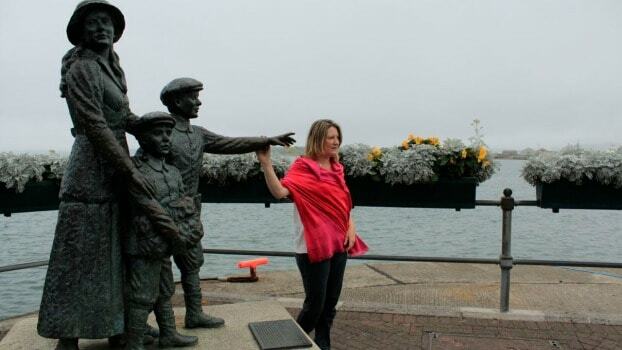 I make a mental note, so I can discern the difference when I’m in Ireland. I look around the Claddagh Room of the Olde Dublin Pub, with it’s backdrop of flowing water and a bar topped with oysters and other shells embedded in plastic. Each man standing is a character, and I whisper to myself, “this is oyster royalty.” Amazingly one of the shuckers hears me, and I feel I’ve landed on the other side of the looking glass. Last year’s winner, Robert Daffin of Florida, tells me about the competitors and he looks around the room and starts pointing out the odds-on-favourites. The first man he points to is Patrick McMurray of Starfish in Toronto, who won the World Championship in Galway, Ireland about 10 years ago. 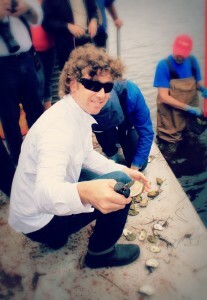 I met Patrick (Paddy), earlier in the day when my media tour met up with a chefs tour of Raspberry Point Oyster farm. Owner Scott Linkletter, a lanky man with a Mark Twain mustache and a quiet, gracious charm to match, took us out on a barge to rake up some oysters from the ocean floor to eat on the spot. I felt fully immersed in the Prince Edward Island experience, standing on that small, flat barge, surrounded by dove grey colours of sea and sky, and feeling a gentle sea-salt breeze on my skin. Scott told us about growing and harvesting oysters, and showed us the cages he uses in the bay near Raspberry Point; and then we motored further along to shallower water, where oysters grow in beds, among the seaweed. 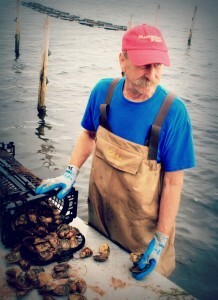 Scott jumped out of the boat — the water was only thigh-high, and raked up some oysters which he dropped on the barge. Patrick proceeded to open them, and share them around, as he enthusiastically exclaimed their quality. His passion for oysters is palpable and added to the sublime moment of pouring the creature and its briny bath into my mouth to savour the freshness, the sweet-salt flavour and of course the taste of the sea. That was it, my Prince Edward Island moment. The moment when the maritime essence of the Atlantic province was squeezed into a prehistoric looking bivalve served up fresh and raw in its natural habitat. Forcing myself back to reality from my sea tinged reverie, I listen as Patrick tells us about the unique character of the Prince Edward Island malpeque oyster. He points out the slight tinge of sage green to the milky grey creature, and the red earth that clings tenaciously to the shell. 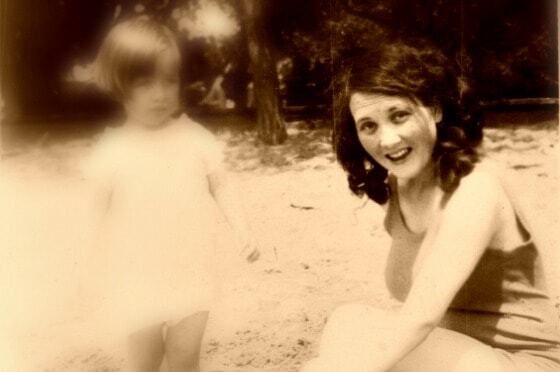 Using the point of his knife — the oyster knife he designed himself — he digs out a bit of red soil from the shell of the oyster Scott just combed up from the shallow floor of the ocean bay. Listening to Scott and Patrick, I realize I’m just starting on my journey to appreciate the intricacies of the oyster, a seafood delicacy that I have until now largely taken for granted — enjoying the taste but not the subtlety. The sublimity of the oyster experience takes on a more robust character at the Shucker’s Ball because though these men — and they are mostly men — are friends and companions, sooner or later their competitive nature gets the better of them, as I discovered when I told Patrick I was getting ready to go. “Wait,” he says, and after a confab with the Olde Dublin owner, strides to the bar and yells out for every shucker in the room with a knife to come forward. About half a dozen step up, hooting and hollering and getting ready for competition. A box of oyster appears, and each person — for two of the shuckers in this competition are women — gets four. At the start signal they go to work, each with their own style and their own knife. It’s not clear who wins, but it doesn’t matter as everyone starts consuming the oysters, along with pints of beer, and more hootin’ and hollerin’ takes place as one fellow starts singing and stomping out a bawdy song about lobsters and private parts and after that another fellow yells out, “Let us now read from the book of oyster” as he proceeds to open Patrick’s book. It’s all great fun as the shucker’s egos jostle for ascendance among the Gaelic / Canadian maritime atmosphere of the Olde Dublin pub, and I feel I have landed smack in the pearl centre of the oyster universe. 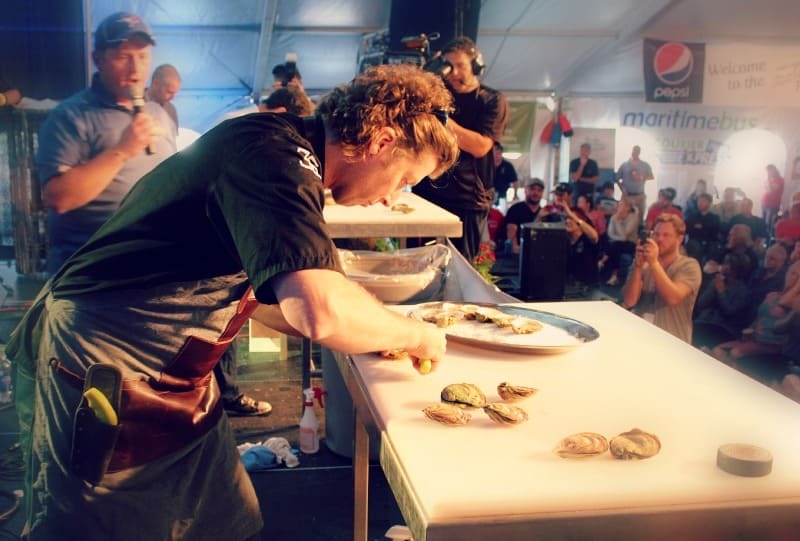 The next day, I attend the Raspberry Point International Oyster Shucking Championship at the PEI International Shellfish Festival, arriving at the big white tent on the edge of Charlottetown just as the competitors arrive and the tension starts to build. I am amazed at the level of intensity and the drama. Patrick McMurray is backstage engaged in a series of martial arts-like exercises while other competitors relax among the crowd. With my media pass in hand, I station myself onstage to see the action close up as the flamboyant contest emcee introduces each pair of competitors. 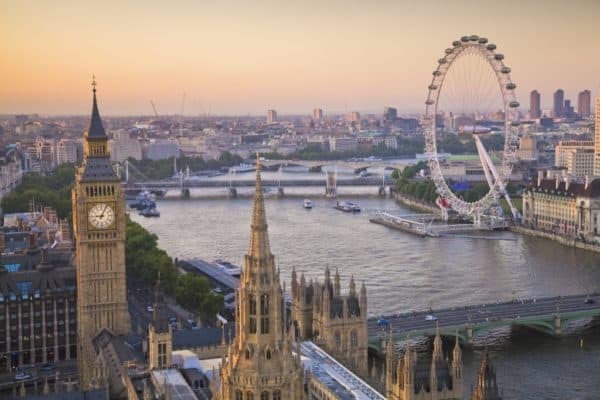 They are timed and judged on both speed and several other factors including the cleanness of the cut and the presentation of the oysters on the plate. I stay for the entire competition but have to leave before the winner is announced. Toronto hometown favourite Patrick McMurray clocks in as the speediest shucker, but later I learn he lost the competition to Daniel Notkin from arch-rival city Montreal. 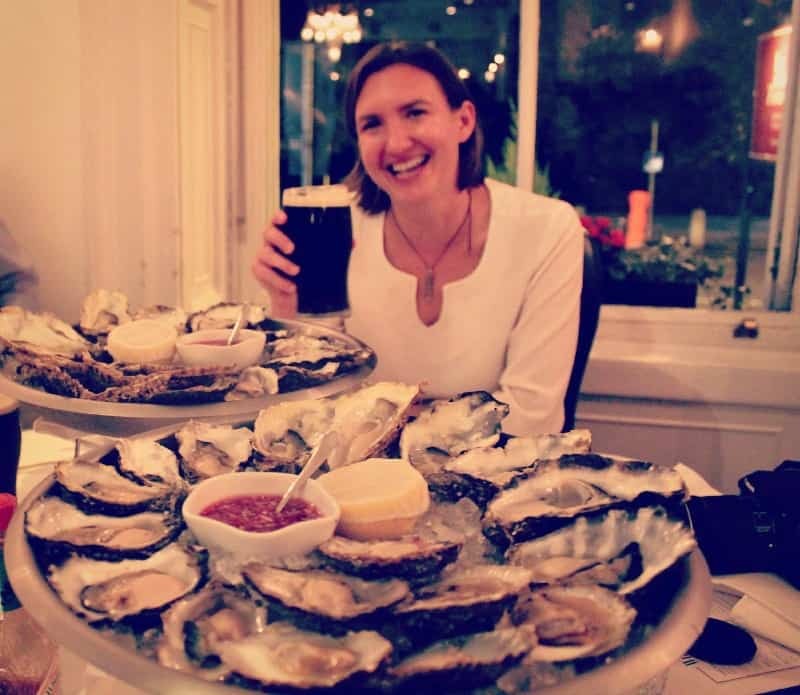 Two days later, I landed in Ireland for the first time with many things on my mind — especially my Gathering trip to “walk the ground of my ancestors.” But eating oysters, preferably washed down with Guinness, was also on my mind. 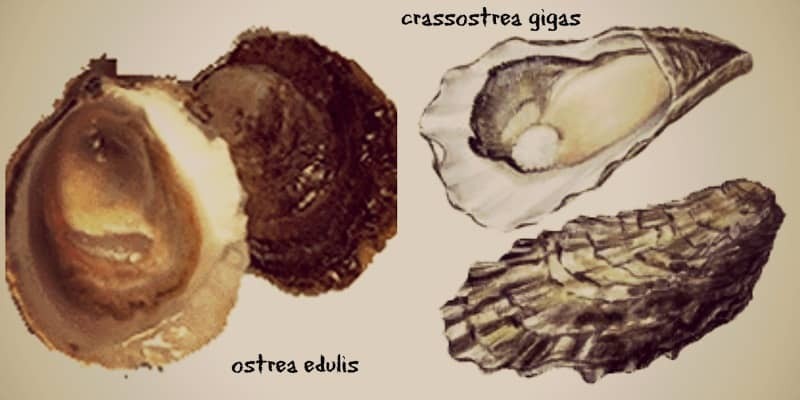 Armed with a list of preferred oyster establishments in Dublin, courtesy Patrick McMurray, I went in search of ostrea edulis. On one of my first nights in Dublin, I went to Boxty’s, in Temple Bar, and ordered the seafood platter and a few extra oysters. They were plump, fresh and tasty — but they weren’t the Irish native species — and I could tell at a glance by the size and shape, thanks to the education I got in PEI. Audrey of Uncornered Market at Cliff House Oyster Bar in Dublin, Ireland. It wasn’t until about two weeks later, at the end of my trip to Ireland that I finally tasted the ostrea edulis of Ireland, reputed by some to be the world’s best. On the last night of the Travel Blogger’s Exchange Conference (TBEX) in Dublin, I went with some friends to Cliff House, an elegant seafood restaurant and oyster bar in an elegant Georgian building just a few doors from The Shelbourne Hotel and across from St. Stephen’s Green. Cliff House put on a great show with two big platters of three types of oysters arranged on shaved ice and served with hot sauce, shallot sauce, lemon and pepper. Dave of TBEX, Dan and Audrey of Uncornered Market and Tammy of Travel+Escape all agreed: Of the three types of oysters we were served, the native mollusk was the best. Flat, round and on the small size, these little gems carried the wild, storm-tossed scent of the sea in their flesh. Our second favourite were the Galway oysters — much larger, with a serrated shell, I knew at once they were of the crassostrea gigas species. The third type, also good, were farmed Carlingford oysters. Cliff House manager Conor Stacey explained that the gigas oysters are much easier to cultivate, more reliably harvested and therefore about half the price. In the elusive Irish oyster, I felt I had found the world’s best oyster. However, both gigas and ostrea were happily consumed, along with creamy pints of Guinness, by the five of us on a happy night in Dublin. And before we knew it, we had eaten every one.